So planning ahead pays off…I was digging through my keeper recipes and books searching for a Sunday chicken dinner idea, Mike reminded me that I hadn’t made that wonderful retro 80’s Chicken Marbella in quite some time and it sounded like just the ticket with every ingredient in the fridge and pantry as well as falling into the overnight marinating time. While it remains a fantastic dinner party dish I don’t intend it to become a dinner party menu staple…you know too much of a good thing and all of that, but with that said we enjoyed our retro dinner from the Silver Palate cookbook including the ricotta and spinach stuffed summer tomatoes instead of a salad, add a crusty loaf of bread and a good bottle of wine, it’s a party! 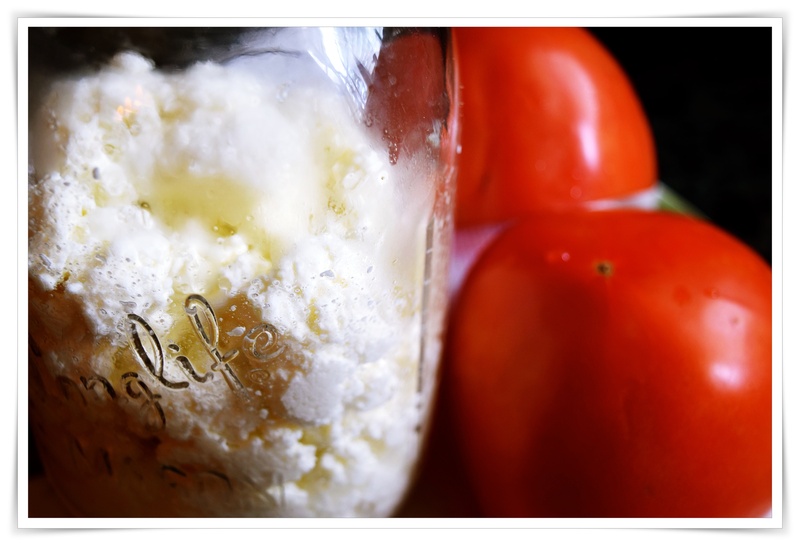 The fun part of the morning was spent making a batch of fresh ricotta for the spinach and ricotta stuffed tomatoes, so easy and doesn’t take much time at all and I have enough for two different recipes, but you don’t have to go to the trouble of making it since there are several good brands in the markets, but it is fun. 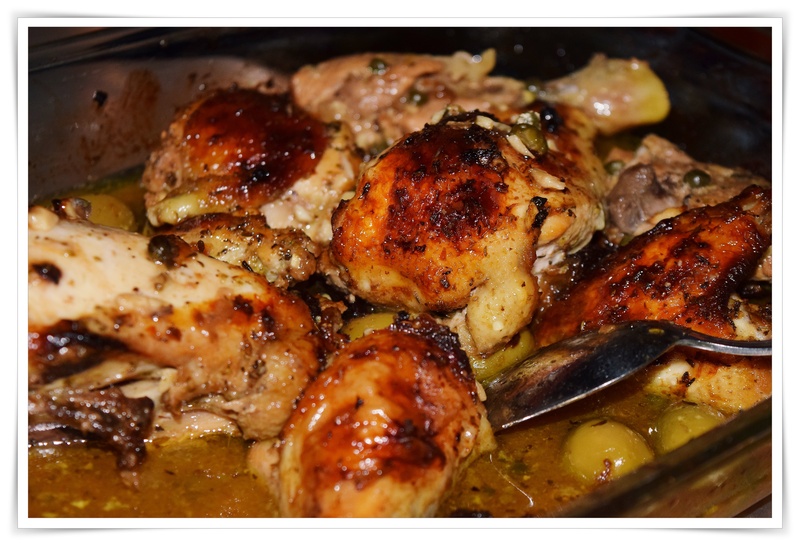 You can find the history of chicken Marbella link below and there are many online links for the recipe including new updated versions, for me, the original is always the best and comes with great memories to boot. Now for the surprise use for the leftovers, a good pot of Mediterranean style chicken and vegetable soup. 1. Combine the olive oil, vinegar, prunes, olives, capers and juice, bay leaves, garlic, oregano, and salt and pepper in a large bowl. Add the chicken and stir to coat. Cover the bowl and refrigerate overnight. 2. Preheat the oven to 350 ° F.
3. Arrange the chicken in a single layer in one or two large, shallow baking pans and spoon the marinade over it evenly. Sprinkle the chicken pieces with the brown sugar and pour the white wine around them. 4. Bake, basting frequently with the pan juices until the thigh pieces yield clear yellow (rather than pink) juice when pricked with a fork, 50 minutes to 1 hour. Note: To serve Chicken Marbella cold, cool to room temperature in the cooking juices before transferring the pieces to a serving platter. If the chicken has been covered and refrigerated, reheat it in the juices, then allow it to come to room temperature before serving. Spoon some of the reserved juice over the chicken. Lukins, Sheila; Rosso, Julee. 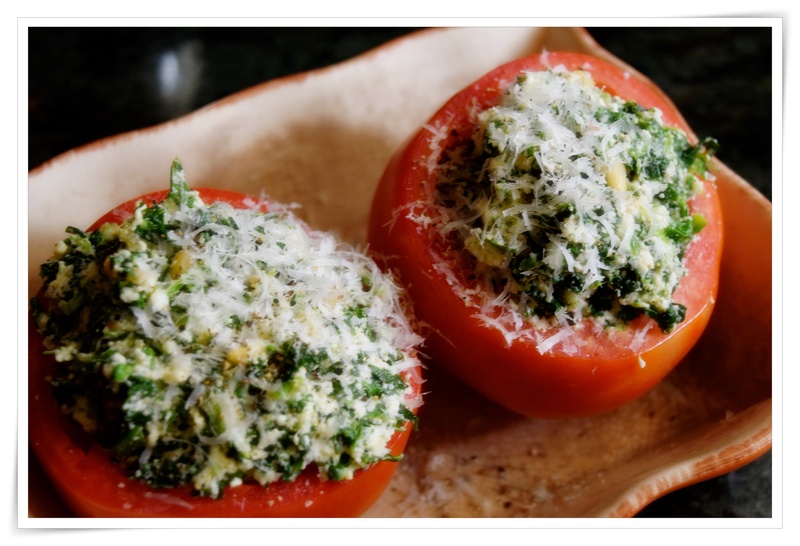 The Silver Palate Cookbook (Kindle Locations 2441-2453). Workman Publishing Company. Kindle Edition.